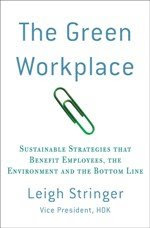 The Green Workplace: If He Can Do It, So Can You! Berkeley, CA Mayor Tom Bates has taken green commuting to the extreme: he's ditched cars entirely and is walking to work every day. While an 18-minute walk isn't that far (probably a little over a mile), keep in mind that Mayor Bates is 71 years old. It's always great to hear when a public figure does something sustainable, but this is one item that really makes me think about what I personally can do! Very timely post! Love that you focus on CA as they have major infrastructure and traffic issues to address. Here is my answer: PODS! Love that you focus on CA as they have major infrastructure and traffic issues to address.